Being a well-distinguished company in the market, we are into offering PVC Hand Gloves. We are offering PVC Gloves to our clients. 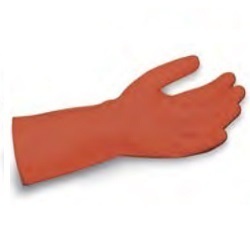 PVC Unlined Hand Gloves- 12"
PVC supported and unsupported hand gloves. We have specialized in the Manufacturing of PVC Hand Gloves that are used while handling Acid / Alkali and concentrated chemicals. 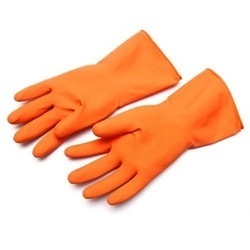 These PVC Hand Gloves offer protection against burns, wounds, cuts and hazardous chemicals. We offer them in various sizes and colors. - Made from PVC of superior quality. - Used while handling Acid / Alkali and concentrated chemicals. - It is designed in such a manner that it gives a firm and better grip. - Curved fingers give flexibility. - More durable and economical. - Available sizes: in length 12" to 22".